Adolf Philipp (b Lübeck, 29 January 1864; d New York, 30 July 1936) was the eclectic leading light of the German-language stage in turn-of-the-century America. The young Adolf Philipp ran away from home at the age of 17 (when he remembered, he said it was 14), joined a German provincial stock company, and went on to make himself a career as a performer in both straight and musical theatre (‘sometimes as a tenor singer, sometimes as a heavy tragedian, but mostly in light comedy’). This career led him first to Vienna, then to Hamburg and, in the 1891-2 season, to New York for an engagement as principal tenor at Gustav Amberg’s German-language theatre (Duncan in Adolf von Neuendorff’s original operetta Der Minstrel, 18 May 1892 etc). Following Amberg’s collapse, he went on to star in other German pieces at the Terrace Garten and he quickly became a local star in rôles such as Vandergold in Der arme Jonathan, the hero of Zeller’s Der Vagabund, Simon in Der Bettelstudent, Georg in Der Waffenschmied, in Nanon, Der Feldprediger, Apajune der Wassermann, the title-rôle of Le Postillon de Longjumeau, his own Die Royalisten and Der verwunschene Prinz. 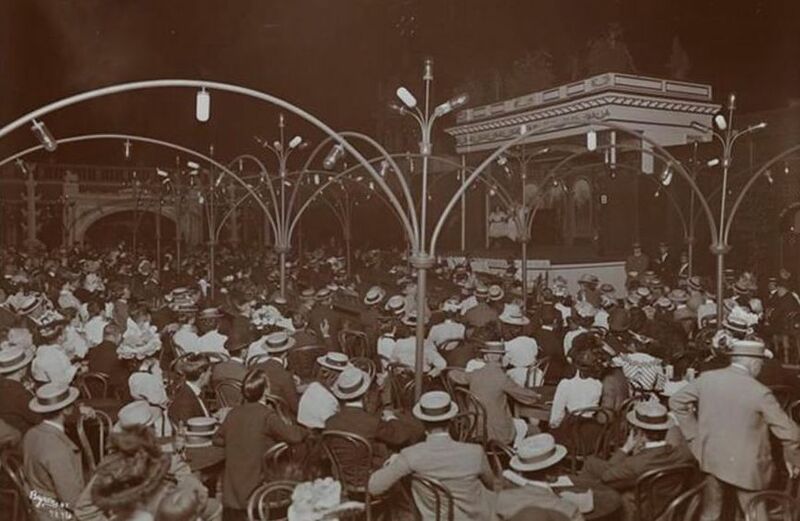 A roof top ‘garden theater’ at Madison Square Garden at the turn of the 20th century. In September 1893, he took on the management of the Germania Theater and there he embarked on a memorable career as manager, star and author, writing and appearing in the large central rôles of a series of often long-running German-Jewish comedies (‘written in a queer composite of English slang and true German’), each and all equipped with plenty of songs for their leading man. This series gained him in some quarters the nickname of `the German Harrigan’ (‘His stage productions put one in mind of a Harrigan play with the locale transferred…’) and his The Corner Grocer of Avenue A (Hein Snut, 750 performances) and A New York Brewer (Hein Lemkuhl, 856 performances) became classics of the German-American stage. Philipp gained his first mainstream Broadway credit, when the hugely popular The Corner Grocer was anglicized, stuck full of variety acts, and ‘music selected and arranged by Alexander Haig’, and mounted by Russell’s Comedians at the Casino Theater under the title About Town. Jacques Kruger starred in the author’s rôle for the three weeks of the run. In 1896 he was again represented on the Broadway stage by an English adaptation of his Mein New York (Herald Square Theater 14 April) and won considerable praise for his ‘beautifully conceived’ piece. ‘By adroit handling of his characters the author gives us something of the same impression of largeness and reality which Harrigan’s genius used to contrive … as a study of familiar American types, Mr Philipp’s play cannot be too highly praised… there is a scene in a fast-house which the author treats with the skill and hardihood of a Zola’. 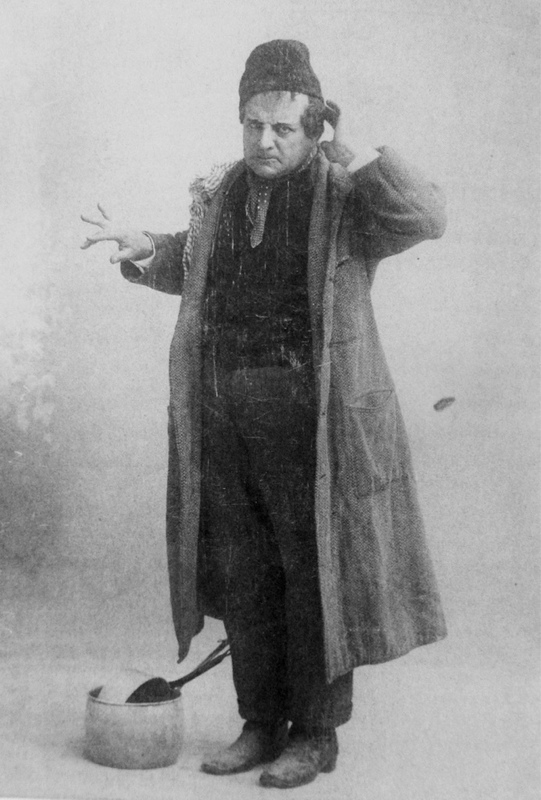 In 1897 he staged a season (w Leo von Raven) at the Terrace-Garten, appearing in the title-rôle in Fra Diavolo, in a German version of Herbert’s The Wizard of the Nile (19 May 1897) and in Die Royalisten and in 1899 he built a new Arch Street Theater in Philadelphia, which eventually fell into other hands. 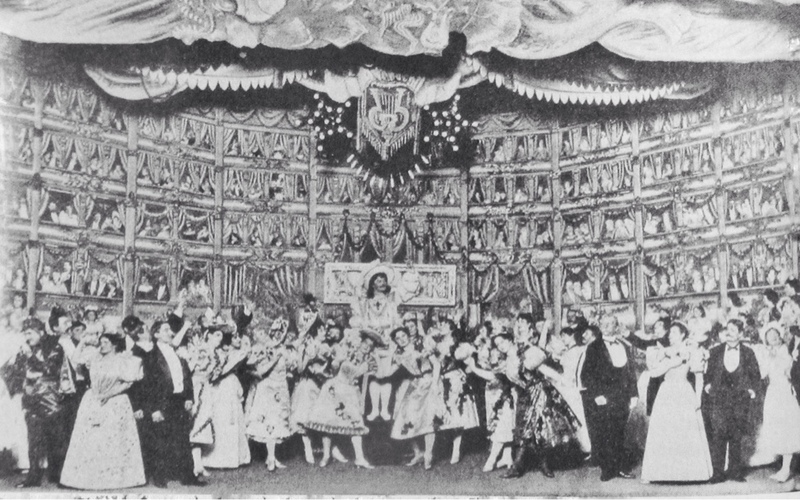 In 1900 (23 April), having – after a barney with theatre-owner Amberg which resulted in his being arrested – purchased the Germania on the proceeds of his successes, he produced a set of original musical comedies for which acted as producer, director, overwhelming star, author, and co-composer. 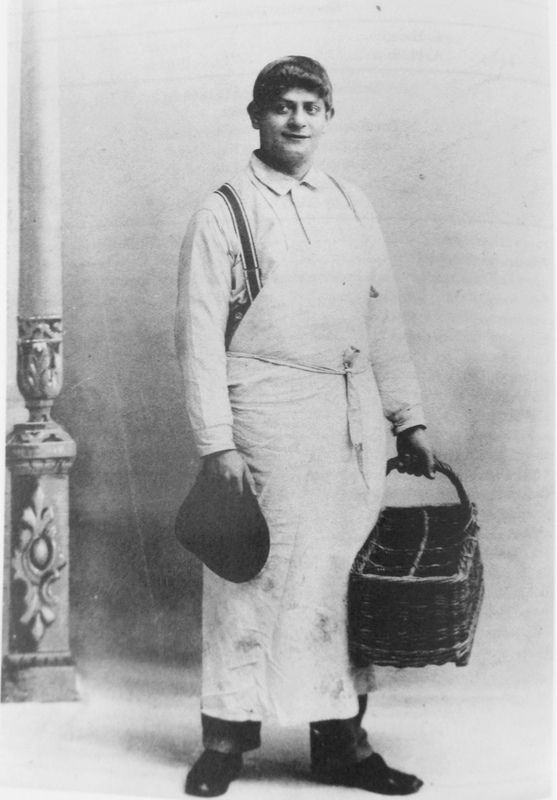 Geheimnisse von New York (played Jochen Kluckhuhn) ran for 102 performances, Der Millionen-Schwab for 104 and the musical comedy called Der Kartoffelkönig which, half a century before The King and I, used a play-within-a-play Uncle Tom’s Cabin to make a point, equalled their records, records which – in spite of the obviously limited audience pool on which Philipp had to draw – compared well with on-Broadway’s productions. The advised press kept an appreciative eye on what was going on at the Germania, and regularly put their appreciation into print. Philipp’s comic abilities won high praise as being ‘above the usual Broadway horseplay’ and his music was noticed as ‘uncommonly good, often excellent’ but, for the moment, his original and idiosyncratic productions did not flow into the Broadway mainstream. The Germania was closed and knocked down in April 1902, to allow for the extension of the underground railway and the building of Wanamaker’s department store, and Philipp – having bankrupted himself attempting to tour – then returned temporarily to Germany. There, with his brother Paul Philipp (d New York, 21 May 1923) as administrator, himself as artistic director and Oberregisseur and one Ludwig Stein providing the necessary, he opened the 1,000-seater Deutsch-Amerikanische Theater in Berlin (29 August 1903). where, between 1903-7, he staged and starred in a variety of pieces depicting the lives of German immigrants in America, nearly all with more (usually) or less music involved and including his own New York in Wort und Bild, Im wilden Westen (in which he appeared as a Crocodile-Dundeeish cowboy in Berlin), Der Teufel ist los (as Heinrich Dabelstein) Im Lande der Freiheit, Aber, Herr Herzog! (Lied des schwarzen Katze) and Er und ich. His recipe was ‘a pot pourri of fun with touches of pathos sandwiched in’, not to forget the inevitable healthy ration of songs. 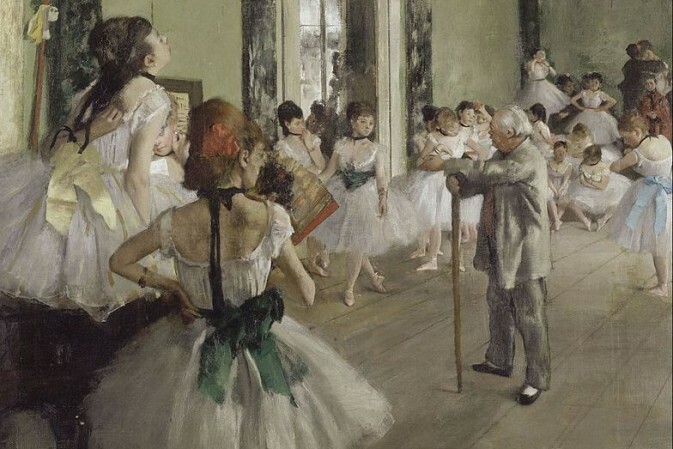 In February 1906, with some small fanfare, he fêted his 25 years on the stage. 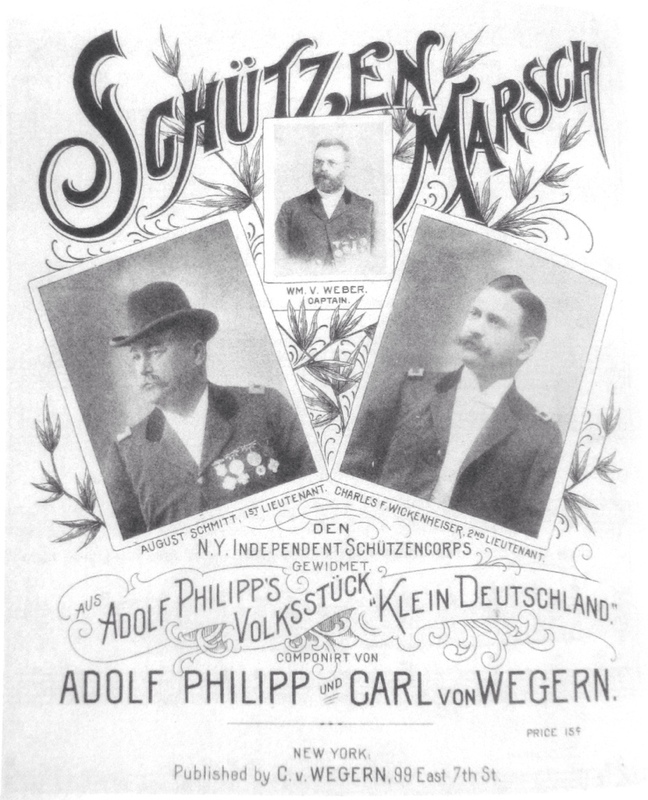 In mid-1907, however, after a rather iffy season with their troupe at the Carl-Schultze Theater in Hamburg, the brothers threw in their hand and returned to America where they again attempted a Deutsch-Amerikanische Theater, this time in collaboration with the finances of a certain Herr Adolf Geller, manager of the ‘Zum schwarzen Adler’ music hall on East 86th and 3rd Avenue. 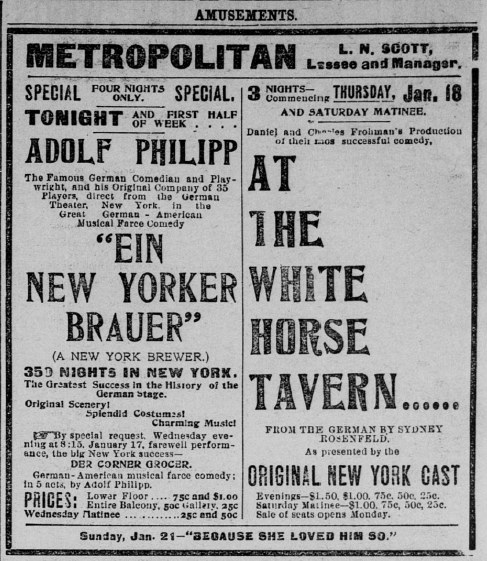 Philipp mounted an English-langauge production of his New York in Wort und Bild, already played not only in Berlin, where it topped four hundred nights, but also in a Viennese version as Über’n grossen Teich (Theater an der Wien 2 September 1906, mus: Ziegler), under the title From Across the Big Pond (w Mortimer Theise, Circle Theater 7 September 1907, revised version Two Islands 14 October) with himself starred as Louis Strumkohl alongside Anna Boyd, and without luck, but he scored a genuine hit at Geller’s ‘zum schwarzen Adler’ (now converted into a 900-seater and dubbed the ‘Wintergarten’) when, after a long-running revival of Der Corner Grocer, he wrote produced the slightly scandalous musical comedy Alma, wo wohnst du? (1909, credited ‘w Paul Hervé and Jean Briquet’). This piece gave him a long run as author and star, got him hauled up on a delightfully publicity-worthy morals charge, and was subsequently translated into English and produced with further success on the regular Broadway stage (Weber’s Theater, New York, 26 September 1910, 232 performances). However, if he got away with his ‘naughtinesses’ this time, when he subsequently produced “Hetty macht alles”, the guardians of New York’s morality decided he had gone too far, the proprietor and star were hauled off to the police courts and the merry musical farce was closed down. They got him for selling drink in the auditorium, too. Hetty was anglicised by Leon da Costa in 1915 as That’s the Limit, and apparently she was the limit, for I can find no record of her having found her saucy way back to the New York stage. Still, she got to the Grand, Pennsylvania, to the Lyceum, Rochester, and elsewhere (April 1911) where limits and drinking rules were apparently different. The success of Alma however, widened Philipp’s horizons, and his new piece Therese sei nicht bös (daintily translated as Therese, Be Mine) was actually put into rehearsal shortly before Alma’s Broadway opening in both German and English versions. The ubiquitous Adolf, of course, directed both companies, and starred in the German one. And while Therese opened up at New York’s Wintergarten, Theresa set out from Toledo, Ohio, to install herself at the Chicago Opera House (27 September 1910). She didn’t prove as successful as Alma had, but Philipp persisted, and whilst Alma still ran on on Broadway he brought out Hetty. 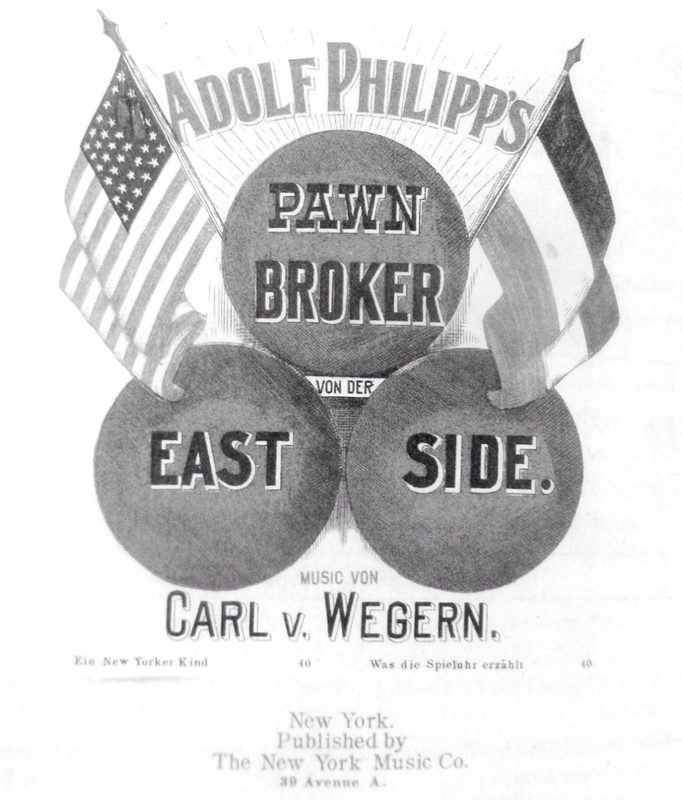 Her fate didn’t deter him either and, in 1912, Philipp established himself as The Adolf Philipp Company, headquartered at the newly built 500-seater 57th Street Theater (later to be better known as the Bandbox), and carried on turning out more musical plays in the Alma vein, both in German and for the more competitive English field. His first production at his new house, the musical Auction Pinochle, with its author starring as Harry Schlesinger, played for 150 nights before being sent out in an anglicised version (Burbank Theater, Los Angeles 5 April 1914), and it was followed by Das Mitternachtsmädel, another piece which was written, like the first, in collaboration with composer ‘Jean Briquet’ and original author ‘Paul Hervé’. Both these gentlemen may have existed – perhaps minor figures on the Paris and Berlin theatre scene – but their names served here only to mask the fact that the producer-author-star had written and composed his shows single-handed. He kept his triple identity secret for some five years before being discovered, and going confessionally into print, at the end of 1915. 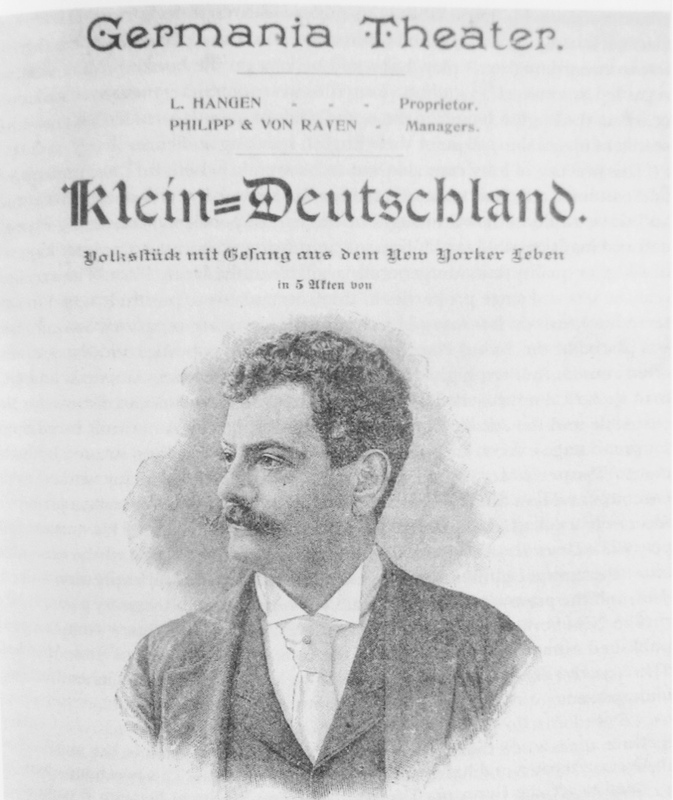 Philipp mounted and starred in a German-language revival of Alma (17 April 1913), followed up with another local-comic musical, Two Lots in the Bronx, which proved good for 100 nights in German and more in English, and which served the author-producer for his debut in the English-speaking and singing theatre, and then — without previous German production – brought what he again tried to fool public and press was ‘a French operetta’ (again home-made with the English aid of the usefully hacking Edward Paulton), called Adele, to the Longacre. Adele set Broadway aghast – it had no girlie chorus! 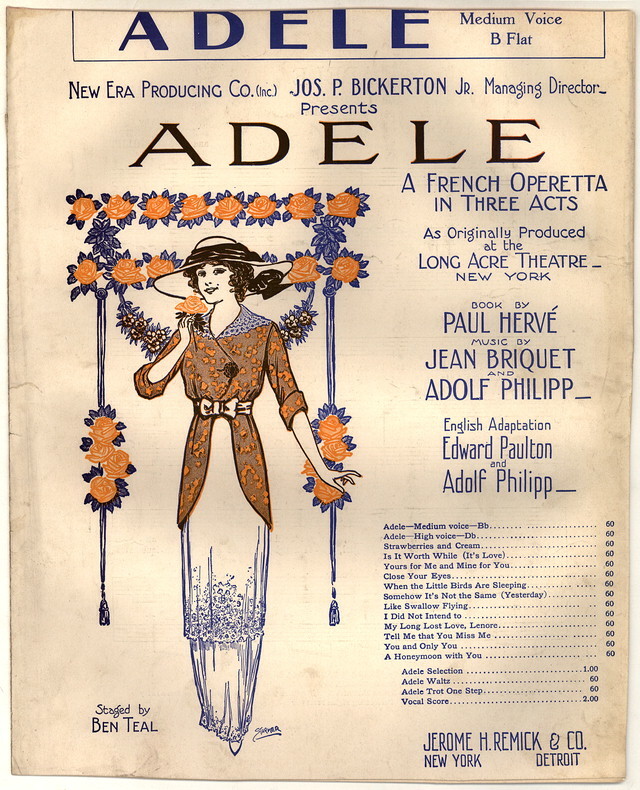 But the girls clearly weren’t missed, for Adele, praised thoroughly for its ‘beautiful music’, not only ran 196 performances on Broadway before going to the country for a good number of tours, it even crossed the Atlantic and was given a brief production at London’s famed Gaiety Theatre. London, however, hadn’t yet learned to cope with the small-scale book-based musical, especially without chorus girls. Especially at the Gaiety. Adele was a short-lived West End failure. At home, however, Philipp’s style of show, genuine small-theatre musical comedies in the German ‘Posse’ vein, without spectacle or (mostly) chorus girls, and the attention firmly fixed on the action, the comedy and the songs, had proven itself undeniably popular, and it was no coincidence that it was soon after followed by a local attempt in a similar vein (but with chorus girls) in a popular handful of shows at Broadway’s little Princess Theater. Philipp subsequently joined Saul Rechmann in running the Yorkville Theater as a home for German-language plays and musicals (Wie einst im Mai, Die Schöne vom Strande etc) and, with the coming of the First World War, authored (under an umpteenth pseudonym, ‘F Schumacher’) and mounted a typically outspoken play called Zabern, which provoked the German ambassador in New York to demand its closure as being insulting to the Kaiser. He also authored, produced and starred in a patriotic American comedy-drama called Tell it to the Marines, whilst continuing with his run of allegedly adapted musicals. The Girl Who Smiles topped the 100-performance mark, but Two Is Company was a 29-performance failure. 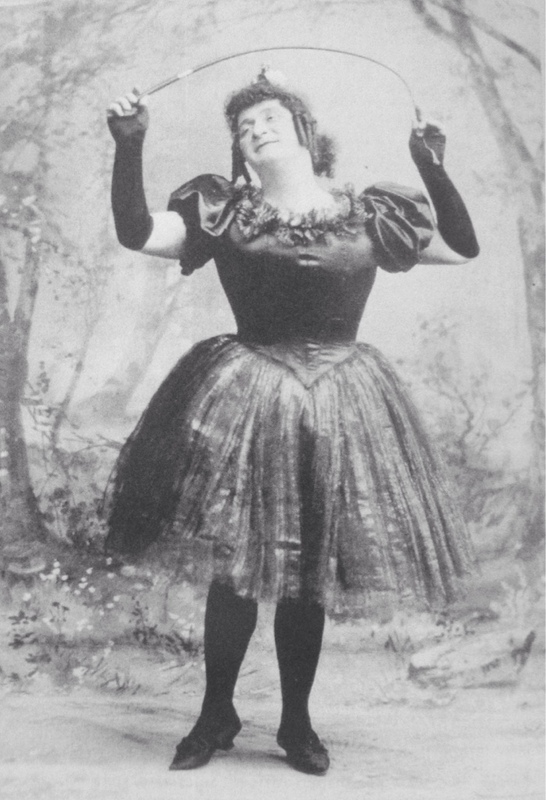 Mimi, yet another piece built on the lines of Alma, and produced at Washington with the equally fake-French Chapine (real name: Helen Benedeck) starred, failed to make it to town in its original production, but Philipp’s play was adapted and remusicked by another specialist of the book-based comedy musical, composer Ivan Caryll, and George Hobart, and the result was later produced in New York as Kissing Time (Lyric Theater, 11 October 1920). Although he thereafter went quiet on the musical front, Philipp did not remain inactive. The intriguingly titled play Tin Pajamas (w Paulton) closed on the road but, having insulted the Kaiser in the First World War, in 1933 this up-front Jewish author turned out as his last Broadway effort, a very early anti-Hitler play, Kultur. Then he finally went into retirement. He died in New York at the age of 72. An accurate list of Philipp’s early German credits is hard to establish, as a second Adolf Philipp was, like him, operating out of Hamburg around the same time as the semi-American one was authoring his earliest Operetten. 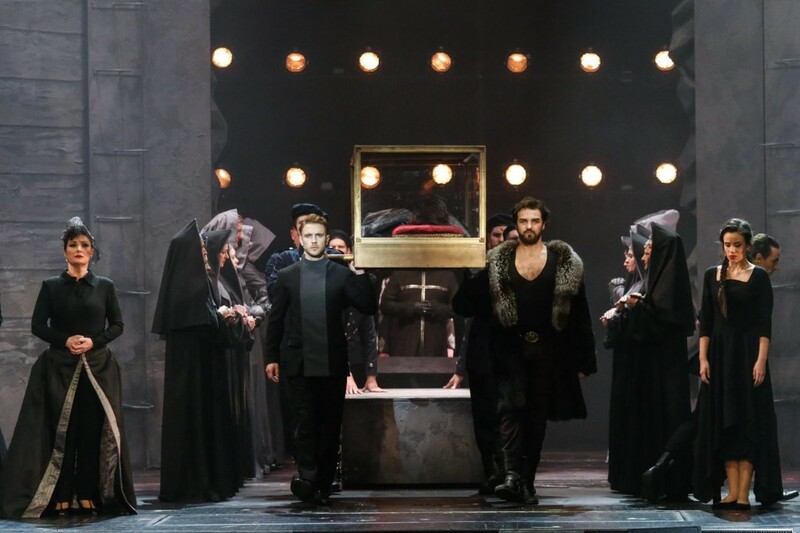 However, his claim of ‘hundreds of performances’ in Germany make it likely – even allowing for his penchant for fibbing about his identity and fictionalising his curriculum vitae – that he was the author of the musical shows listed below, in their various versions. As opposed to ‘Kleopatra by Adolf A Philipp’ et al. Kevin, as always you’ve found grand illustrations! I reviewed Mr Kogel’s book and gave it ten gold stars. I hope folk will buy it. And now will American ‘historians’ stop landmarking ‘The Princess Theatre musicals’ as something important in New York musicals history? Apologies to Mr. Koegel but the bloody internet has a thing against umlauts .. This is really fascinating. Does anyone know of his song »CVathrina« from the Revue (or operetta?) »Hüben wir drüben« (probably from his 1903-1907 years in Germany?). I really would like to find out more about this. Thomas, Hüben wir drüben is an alternative title for the musical comedy ABER, HERR HERZOG produced in Berlin in 1905.